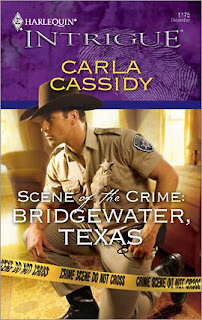 When Sheriff Matt Buchanan discovers FBI profiler Jenna Taylor snooping around his crime scene, he isn't pleased. The last thing he needs is the FBI meddling. But Jenna is determined to find her best friend's murderer, and she won't be bullied out of town. Then the madman strikes again. His calling card? A red rose. Realizing they're dealing with a serial killer, Matt accepts Jenna's help. But when Jenna becomes the madman's target, the danger—and their unrelenting attraction—is imminent. Will Jenna find safety in Matt's arms—or will the next rose she receives be her last? Can't believe I hadn't already noticed this one in stores and snatched it up! I'm a huge Intrigue fan.